I wanted to thank you both for your outstanding efforts and enthusiastic participation in the Limmud presentation of Esau v. Jacob: A Courtroom Drama. I enclose a few photographs taken by the photographer. Photos are also posted on the Limmud Toronto facebook page. https://www.facebook.com/LimmudToronto/ You both responded with enthusiasm and commitment to the proposal to take part, understanding the value and potential in this project. And based on the feedback from participants, and my own impression, that potential was realized. The cases were well argued, the setting was spot on, the robes added dramatic flair, the audience engagement was high (including the uninvited participation from counsel for Rifka (my brother from Jerusalem, Ilan Rubin)), and the close vote and outcome added more drama. So thank you so much for stepping up and stepping into this project, which was one of the highlights of Limmud Toronto 2018. 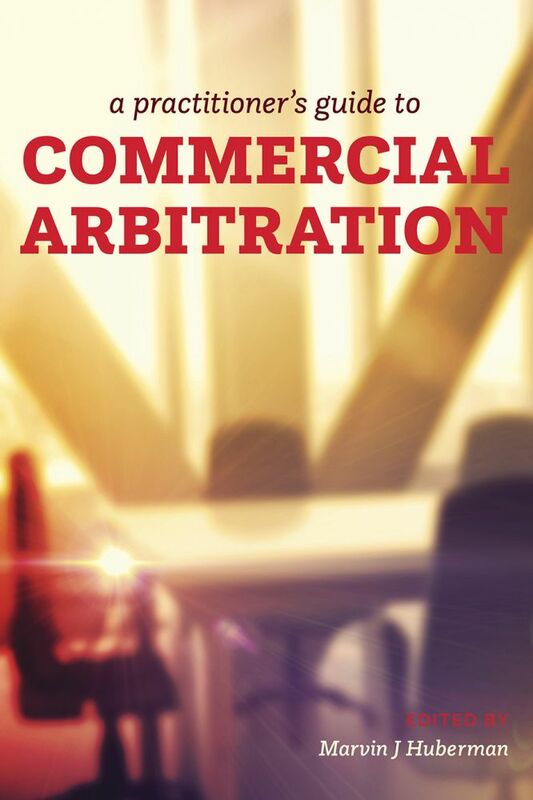 Arbitrator Marvin Huberman's decision in Taylor v. Pembridge (FSCO A12-004866), a top accident benefit decision of 2014, "should be on the mandatory review list before preparing for a catastrophic impairment arbitration. It speaks to the importance of knowing what the Guides say in terms of how to assess the range of impairment. It is equally important in reminding us that the Guides also outline what documents one should look at, how to look at them and how to ensure that objective criteria are provided in analyzing and choosing within the ranges"
In Taylor and Pembridge Insurance Company of Canada, (FSCO A12-004886, June 11, 2014), at page 20, Arbitrator Huberman, however, stated that "Adjudicators decide cases, experts do not." With that statement I fully agree. ...I note that the defendants′ counsel [Marvin J. Huberman] was, in the conduct of this trial, the model for counsel at trial against a self-represented party. I commend counsel for his professionalism. Thank you so much for your sterling efforts on our behalf. Your candid and caring counsel are appreciated more than perhaps we have had occasion to express. If you ever need a reference, we're there!" Finding a Good Lawyer is like finding the Pot of Gold at the end of the rainbow, or in a box of chocolates. I have been to the yellow pages, done interviews, taken referrals, checked the internet, called the local bar association ... [it] can still be elusive to those seeking someone they can relate to at a price they can afford. My experience with Mr. Huberman is that he is an agent that empowers his clients, and a lawyer that will work with you and for you to give a voice and a fair presentation of facts. It is rare but possible to find a Good Lawyer ... consider Marvin Huberman as the man [who] will meet and exceed your expectations. I wanted to extend thanks to Marvin ... for doing such a good job with our case and opponents given that their stance was essentially one of non co-operation ... Very much enjoyed Marvin′s style and creative analysis that opened things up enough to come to a resolution. I am more than satisfied with the way in which you handled our account and ultimately, of course, with the final outcome. I would not hesitate for one second in recommending you to others in similar situations, or contacting you again should the need arise with us (hopefully not!!). I will be keeping all of your information on file here as I do now consider you to be legal counsel for Holliston′s Inc.
Marv, what can I say, you do good work.